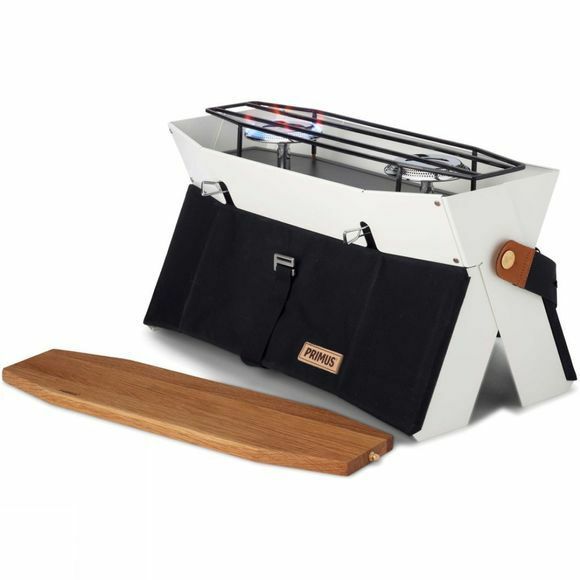 The Onja Stove from Primus is for those who are looking for a fully functioning two-burner stove in a sleek, easy to use and carry design. Ideal for picnics with the family or car camping trips where weight isn't a factor. Based on the form factor of a messenger bag, you simply carry it with the included shoulder strap, leaving your hands free to carry more. Featuring two independent stoves that run on standard screw-top gas cartridges, you can adjust their outputs from full to simmer depending on your needs. 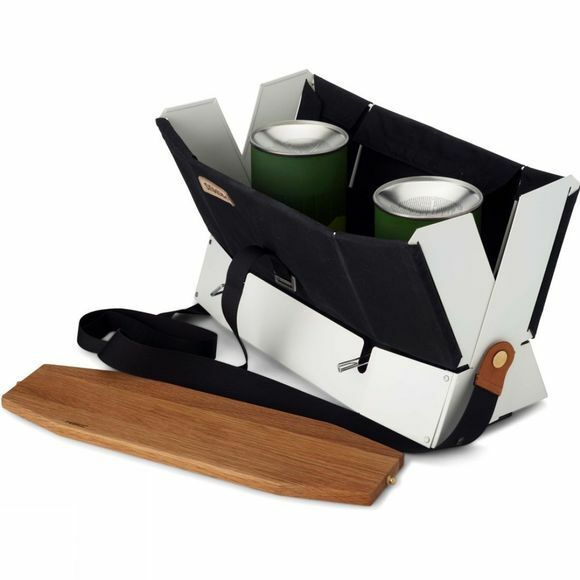 It slides open effortlessly, is nice and stable to use and with the included oak lid doubling as a cutting board or serving tray, the Onja Stove really does have everything you need to cook up a feast for the whole family.